Italy boss Nick Mallett has made three changes to his side to face Fiji in Modena on Saturday, restoring Salvatore Perugini to a powerful front-row. Italy will doubtless want to put the squeeze on up front against a Fijian side that has shipped penalty tries in their last two Tests, a loss to France and draw with Wales, while Robert Barbieri has been drafted into the back-row after a try-scoring cameo against Australia last weekend. The third change comes on the wing, where the experienced Andrea Masi takes over from Tommaso Benvenuti. Youngster Edoardo Gori continues at scrum-half after making his debut last week while the continued absence of Craig Gower means another chance for Brive's Luciano Orqera in the No.10 jersey. 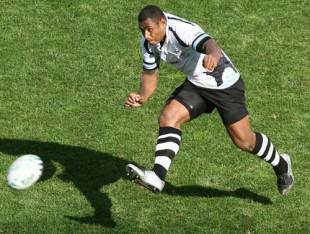 Seremaia Bai will start at fly-half for Fiji after answering a distress call from his country. The Castres No.10 had been expected to return to his club but will instead face the Azzurri after Exeter's Josh Matavesi was ruled out of the game with an ankle injury sustained in training. Bai was the hero of last Friday's draw with Wales, landing a late penalty to seal the result at the Millennium Stadium. Gloucester flanker Akapusi Qera returns at openside in place of Malakai Ravulo, who is also injured, while a back-three reshuffle sees Norman Ligairi in at fullback and Clermont's Napolioni Nalaga take over from Saracens' Michael Tagicakibau.